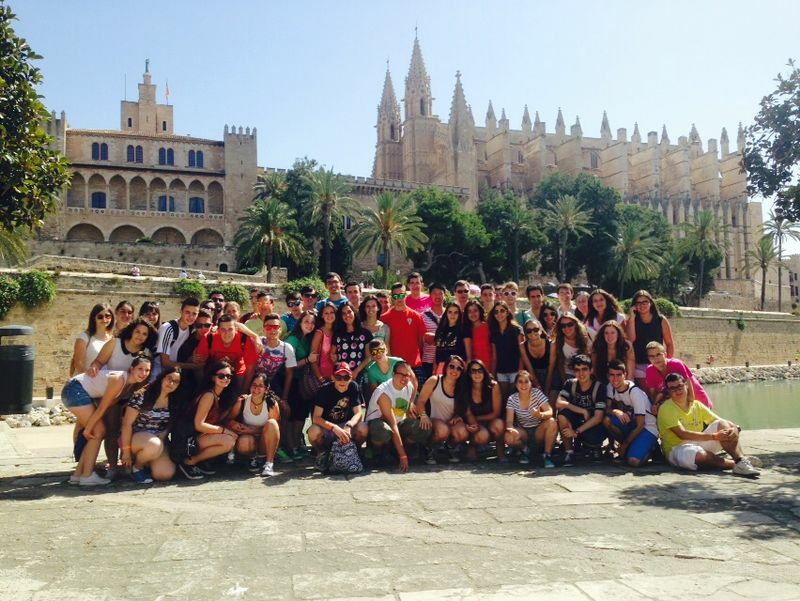 TOURISTIC TOUR AROUND PALMA. HIGHSCHOOLS. Saturday, 21 Juny we did our first walking tour in Palma with public. There were the students of the highschool “Hermanos Amorós. Villena (alicante)” who come with us in such special occasion. A total of 50 people and 3 teachers did this tour with us and there were really interested in the explanations of our guides. This walking tour began at 11 a.m, in Parc de la Mar, and it ended in Plaza España. In spite of high temperatures, this was a non stop walking tour without incidences. ANA Y CARLOS: “DRESS REHEARSAL” FOR THE NEXT WALKING TOUR AROUND THE CITY. The guides Ana and Carlos split the students in 2 groups. During that route we see the Cathedral, el Palacio de la Almudaina, la Plaza de Cort, la Plaza Mayor, la Parroquia y la calle de San Miguel and it ended in Plaza España. We were explaining histories, anecdotes and curiosities about the Islamic and medieval city. The teachers said to be very pleased about that private walking tour. Here Ana and Carlos, in a moment of the explanations.